Eric Jetner/TwitterAn image from a video of Primera passengers in Paris being told their flight was canceled. The low-cost Danish carrier Primera Air declared bankruptcy and shut down all operations on Monday. Multiple passengers and crew members are stuck in foreign countries. Some say Primera Air didn’t tell them about the collapse and did nothing to arrange their accommodation or flights home. People say they spent Monday night sleeping in an airport because they had nowhere else to go. Passengers and crew members are stuck in foreign countries after the low-cost Danish carrier Primera Air ceased operations on Monday, and some are being forced to sleep in airports. The company declared bankruptcy and shut down all its operations in a statement posted online on Monday night. All flight bookings with the airline are now essentially worthless. Two flights scheduled to take off from London Stansted Airport to Washington, DC, and New York City were grounded, and at least one aircraft has been impounded, The Times of London reported. 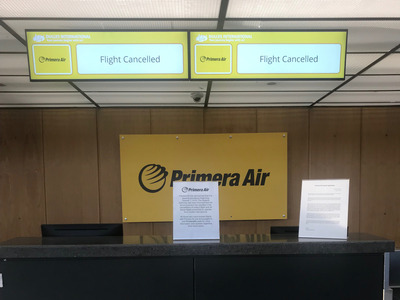 London Stansted has advised passengers scheduled to travel with Primera Air not to show up at the airport. Passengers and crew members who had already travelled with the airline outside their home country are now stranded and must find a new way home. InsectWorld / ShutterstockA stock photo of a Primera Air plane. Pavithra Selvakumar, a graduate student in Norwich, was due to fly home on Primera Air’s Washington-to-London route on Monday night, she told Business Insider. She said she had no idea her flight was canceled until she arrived at Washington Dulles International Airport to check in. “I received no notification about that,” Selvakumar told Business Insider. 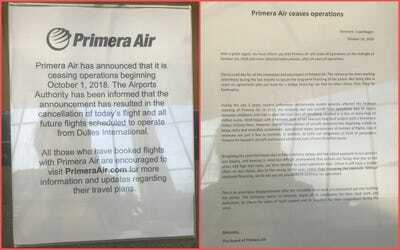 Courtesy of Pavithra SelvakumarTwo signs notifying passengers of Primera Air’s collapse at the check-in desk at Washington Dulles International Airport on Monday night. She said that she tried to book her flight home with other airlines but that all the ones she approached asked her to pay for a flight in full, which cost thousands of dollars. She said she spent Monday night sleeping at Primera Air’s arrival counter. 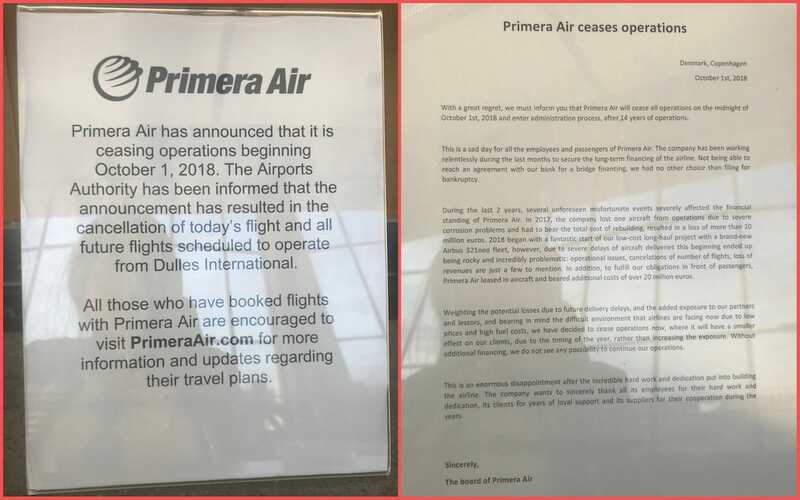 Courtesy of Pavithra SelvakumarSigns at Primera Air’s check-in counter at Dulles International Airport on Monday evening. 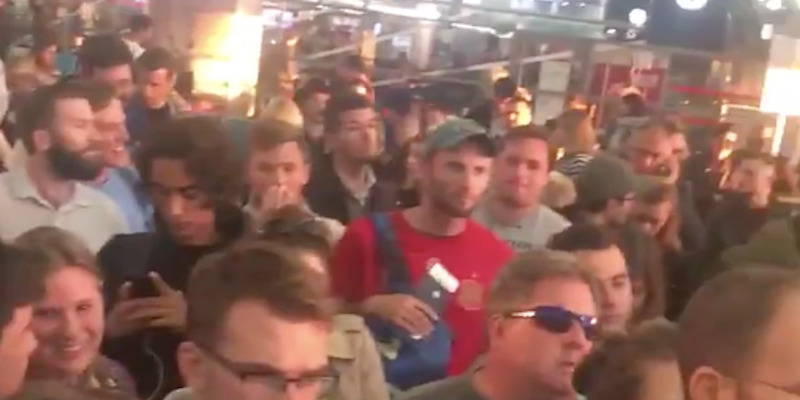 Eric Jetner, a passenger scheduled to fly from Charles de Gaulle Airport in Paris to New York, posted a video of dozens of passengers waiting in the airport as authorities announced the Primera Air cancellation. A woman who appears to be a cabin crew member with Primera Air also tweeted that the airline left workers “stranded” and “sleeping rough” in locations including Toronto and New York. She also said she wasn’t paid for September and suggested that passengers were unlikely to receive refunds. The airline, which had 15 planes in its fleet, started offering round-trip flights from London to cities in North America – including New York, Washington, Boston, and Toronto – earlier this year. Tickets cost as little as £99 in the UK or $US99 in the US. 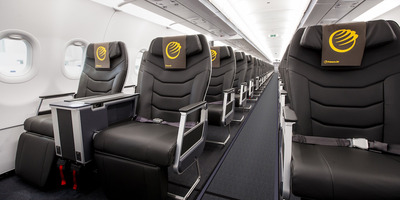 Primera AirPrimera Air’s premium cabin. 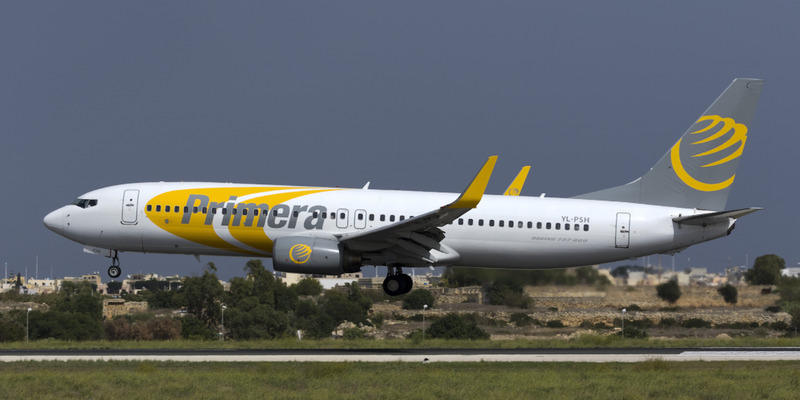 The UK Civil Aviation Authority said passengers who had travelled with Primera Air would have to make their own arrangements to get home. It added that it was not providing refunds for unused tickets but said passengers could file a claim with their card providers or travel insurers. Primera Air’s press office was no longer available for comment on Tuesday. A public-relations officer who previously worked with the airline was also unable to answer Business Insider’s request for comment.